Description: Kicks Online is a free-to-play soccer MMO (massively multi-player online) developed by Entermate, one of the emerging brands of Korean online games industry. The game was launched on the Korean market on July 2006 and now has more than 300,000 Registered users. Kicks Online adopts street soccer modes and rules. Only through different tactics (such as various ways of passing ball and adjusting football surface harness) and strong teamwork players can win the match. Description: You are bold to enter the Kingdom of Drakkar, where dangerous creatures hoard their treasure and lure the luckless to their doom. Recruit others to aid you in your quests. As your power grows, so too will your challenges. Take heed! Portals connect forbidden cities, and lands exist that have yet to be discovered. Description: KoL is played from the comfort of your browser, and is adorned with a staggering array of stunning hand-drawn images. It is turn-based, which means you get a certain number of turns (Adventures) each day. What can you do with these turns? I'm glad you asked. Description: The entire game is played out in realtime in a huge persistent world. When you go to battle you will be able to actually take your armies onto the field and fight your enemy in realtime. Description: Choose from hundreds of weapons, suits of armour, shields, amulets and rings to improve your fighting abilities. Description: In this tale, though, the story of adventure and discovery that unfolds all revolves around you. The word "La" is a bit trickier. La is a word, but it is also a musical note and much more. Likewise, La Tale is rich with beautiful music, art, and storytelling. Together, La Tale becomes an incredible journey across strange and beautiful lands, tying together swords, sorcery, science, art, music, and much more. Description: Last Chaos is an on-line role playing game where thousands of players can simultaneously be connected, fight and upgrade their courage and battle skills through adventures, quests and crafting skills with fellow adventurers. Description: Layonara is so much more than a game. We started off as a tabletop Dungeons and Dragons campaign more than a decade ago. Since then we have developed into a fantasy world with as much compelling and engrossing detail as you will find anywhere. Our current showcase is a Neverwinter Nights version of Layonara, where our world comes to life in a finely polished persistent world which you can play free of charge. These forums are set up to support and accentuate our player's experiences, but it goes far beyond that. Description: PvP based MMORPG. Honor System When a player kills another player from a rival nation or guild, they will receive one honor point. When a player is defeated by another player from the rival nation, one honor point is taken away. When a player accumulates a certain number of honor points, he/she will receive a rank within their nation's standing. Description: Lunia is an arcade-style, action-oriented MMORPG that puts you in the story. Fight your way through as you unveil the secrets surrounding the recent threats to peace. Lunia combines the fun of an action arcade game with the strategy and development of a MMORPG. Description: The game world is set in a distant magic land, the Dynasty and the Empire, namely Humans two opposing camps once invited a catastrophic abuse of Gods Dominant Sword, a divine magic sword for the sealing of destructive Devils. On the edge of extinction, the sinful and helpless Humans have no choice but to try desperately to sink their differences and find the way out. For Humans ultimate fate, is there any underlying twist and turn left? That’s what players will experience in this game, which includes fantasy, bravery, love, loyalty, friendship and betrayal through various exciting innovative game systems. Description: Materia Magica is multiplayer interactive fantasy, which means you are taking an active part in a living story. The choices you make can shape and mold the world around you. Since the game is text-based, you aren't limited by someone else's vision - your own imagination is all that is required to vividly illustrate the life and experiences of your character. Description: Meridian 59 is an online 3D graphical RPG. It was originally released in 1996 by the 3DO company and was one of the first commercial online games available for sale in retail stores in the US. The game was purchased by Near Death Studios, Inc. in 2001 and relaunched commercially. 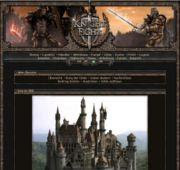 Description: Metin2 is a massive multiplayer online role-playing game (MMORPG) which is packed with great features including quests, guild battles and wars between nations. Metin2 players from all over the globe will be able to play at no cost! There is no monthly subscription fee or a time limit. The client program can be downloaded for free from our website. This is not something that is going to change; free massive multiplayer game forever. You just can't get any better then that! Description: Welcome to the world of Monster & Me, a Massively Multiplayer Online Game (MMOG). You and your treasured pets are about to begin an amazing journey into the mystical Eastern land, filled with danger, excitement and fun. Description: MU Online is a 3D MMORPG that takes you, the player, into a fantasy world full of excitement, adventure and monsters. 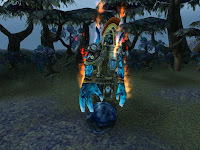 Description: Myth War Online is a large scale MMORPG based in the magical european middle age era. Four classes of species exist, the Humans, the Centaurs, the Magicians and the Half Human Robots. Description: Mystic Realms is a full color, graphical, online, multi-player, fantasy role-playing game, with many advanced features developed over a period of years. Description: Neo Steam is a full 3D Steampunk Massively Multiplayer Online Role Playing Game developed by Joyimpact and published by Hanbitsoft. You can choose from four different races and 4 jobs, with sub jobs for class diversity. In a world where Neo Steam is the most valuable source of energy, three kingdoms have risen for power. These three kingdoms fight an all-out war to decide who will be the rightful of the neo steam generator. Description: Netsoccer is a multiplayer online football game. Each gamer controls one player, not a team as is common in most football games. You can join different teams and have matches against other teams or you can just have a practice match online. Description: Join the most challenging multi-player online strategy game on earth! Build your empire through near-limitless possibilities from military conquest to peaceful economic growth. Join thousands of players competing for dominance in a FREE and never-ending game of intense tactics, cunning politics, and futuristic warfare. 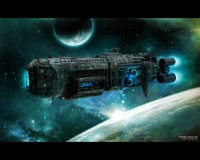 Description: A world where you can engage in hand-to-hand combat, explore space and it's planets, create empires and wage spacial wars (in a 100x100 spacial field, occupied by countless planets), build on 10 different skills including forging, military, magik and pharmacy, compete with other clans to claim glory, or take yourself on a solo mission of your own. Description: NosTale is the Tale of the Nomad of Silver Spirit. The tale speaks of the adventurers of the continent of Eastmile. NosTale is a role playing game built on the concept of Growth and Ownership. Featuring cute and lovable characters, this RPG stands out from the rest because of the fun factor and newbie friendly game play. Description: O2Jam is a compound word of O2 (Oxygen) + JAM (Improvisation) Music is like Oxygen, it is necessary for daily life, and we're surrounded by it. So let's form a band and play in a concert with our buddies. Be part of an ensemble with drums, keyboard, guitar and bass. Experience the intimacy of playing music as a group. This is the essence of O2jam. Description: OGame is a strategic space simulation game with thousands of players across the world competing with each other simultaneously. All you need to play is a standard web browser. Description: Ogre Island is a Massive Multi-Player Online Role Playing Game where you can create a character & begin building a virtual life in a virtual world. In this game you start with nothing but boxer shorts and a few gold pieces, but through time you can become the most powerful player in the game. Description: Outwar.com is a web-based massive multiplayer game with over 75,000 active players. Build power by hunting in Diamond City - Buy supplies to increase your power - Quest for special items and rare equipment - Join a crew and participate in massive raid encounters!